It's hard to write this post. I've known it was coming for months now, but actually putting words to screen is tough. This will be my last post here (at least for the foreseeable future). Any faithful reader of the blog knows my schedule has drastically changed and become much busier this year. That reality has not only decreased my time spent reading, but also the time I have available to write about my reading. One by one, I've had to drop things from my schedule this year. Read.Write.Repeat. is the next casualty. Seven years ago today, I started this blog with a goal to read 52 books in a year and share my thoughts about them. I've surpassed that goal every year since, sometimes by a long distance. I read every book on Modern Library's 100 Best Novels list. I've recommended hundreds of books to readers of all types. I've reviewed over 600 books. I've met incredible people and made friends. I've learned so much and been challenged and shaped by what I've read. It's been a wonderful ride. Though this feels like the right time to say goodbye, doing so is bittersweet. I may pop in from time to time if I get that insatiable urge to share what I'm thinking about. I certainly won't stop reading. My Goodreads account will remain active and be the place that I share what I'm reading and do occasional short reviews. Make sure we're friends on there if you're interested in continuing to follow my reading habit. To all of my readers, thank you for making this journey such a fun, community-driven one. I'm thankful for every person who ever read my blog and especially those of you who made it a regular habit. You are my people and you mean the world to me. 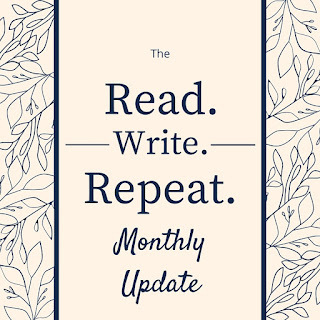 Welcome to the Read.Write.Repeat. monthly wrap-up. 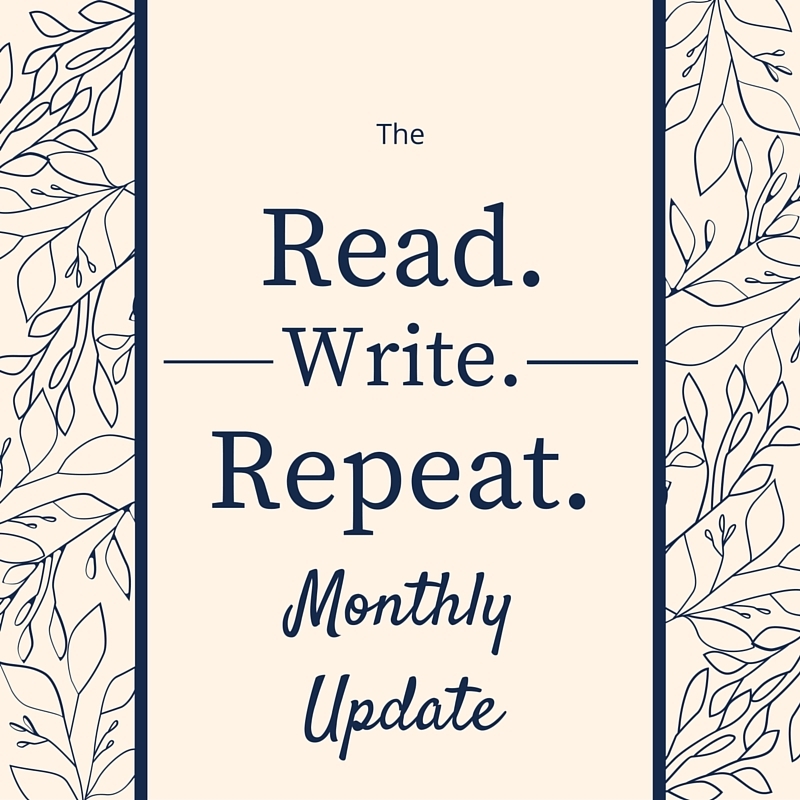 Every month, I give a quick overview of what books I read, the progress made on my reading goals, a few book-related links, and general blog news. Hello, world. If the late nature of this one monthly post is any indication, my life continues to be insanely busy. I'm struggling to balance. Reading has been a beautiful break stolen in short, quiet moments. I haven't read nearly as much as I wanted to this year, but I have enjoyed what I've read so much more than the past couple years. It's been so freeing to quit books I'm not enjoying or delete things from my TBR list with no regrets. I miss checking in here more often and talking books with you all, but scaling back to monthly overview posts has definitely been the right choice for this moment in my life. My time is so limited these days and when I do have down time, I'm much more inclined to open a book or turn on some mindless tv than I am to put more creative energy out into the world. September went so quickly. In part because Kevin was traveling a lot and in part because Hurricane Florence seemed to dominate existence here in the Carolinas for weeks. My parents live in Wilmington, so our family had a direct stake in a natural disaster for the first time. I was talking to my mom last night and she commented how they will never view disasters like this the same again now that they have seen it in their city. Thankfully, their house and property came through largely unscathed. It feels like a miracle in comparison to the devastation around them. Originally, the storm was supposed to hit our area pretty badly. Kevin was actually out of town on work travel for the duration of the storm, so I hunkered down on my own. We didn't end up getting hit really at all except for one very rainy day. But, I enjoyed a quiet weekend at home with lots of books and a binge viewing of the last five Harry Potter movies. It wasn't the most exciting weekend and I was pretty ready for some human interaction at the end of it, but it was a nice break from reality. Plus, I got some great reading in! Hello, friends! It feels like it's been so long. It's been a whole month since I last posted. I ended July with a resolution to find more balance in my life and part of that necessitated putting the blog on hold for a while. I'm not writing reviews of each book I read any longer, but I am going to continue these monthly posts. I love this community too much to abandon it entirely. August was a really good month. Very busy, as every month has seemed to be this year, but good. We went to Michigan to see my in-laws, went to my cousin's beautiful wedding, and celebrated my birthday. Plus, I had an incredible weekend in D.C. with my very best friends. With the exception of going to Italy with Kevin earlier this summer, that weekend as the best trip I've had in years. All that plus two works trips and taking on some more responsibilities over at Pantsuit Politics. Despite that schedule, it's been one of the best reading months I've had this year. I reclaimed the time I've typically spent blogging and put it into reading. I read things I wanted to and thought little of anything I "should" be reading. It was delightful. Taking away the pressure of blogging about what I was reading really let me sink into some of the books I read in a way I haven't in a long time. I read for pure pleasure and didn't analyze everything. It was a nice change. For everything there is a season, I suppose. Even though I'm not going to write full reviews, I thought I'd leave you with a sentence or two about each book I read so you have my impressions at least. Let me know what you think of this format. Life continues to move at a brisk pace for us. I so desperately love summer because it often brings chances to see people we don't get to see the rest of the year. This July has been no exception. We've seen so many dear friends and a good amount of family, too. We've especially gotten lots of great time with the little people in ours lives, several of whom got a copy of Our Great Big Backyard to enjoy this summer. Lots of them are getting old enough to actually know who we are and sit and read together, which I adore. Work has been going well. I'm still completely exhausted and working on adjusting to the fast pace of our firm, but I'm really enjoying the work and I think I'm going to be good at it. I feel like I have the logistics on the job down pretty well and now I'm working on adding context, the why of the what. I'm choosing to scale back the blog. It's not going away, because I don't want to leave the wonderful community of people I've found in the book blogging world and with whom I have great conversations about what I've been reading. However, I don't have time to do reviews for every book I read any more. At this point, I'm choosing to do reviews only for the books about which I really want to share my thoughts. That will scale back the frequency of posts intensely, but I'm hoping what will be left will be more worthwhile. In practicality, this likely means 1-2 book reviews per month rather than the 8-12 I've been doing for the last several years. The monthly updates will continue because I find them a great tracking mechanism and a great way to touch base with all you wonderful readers. Ultimately, I'm hoping this means I'll break my reading slump. With the pressure of writing a review for every book I read removed, I think I'll be more apt to tear through things voraciously again and not have any fear associated with loading up my Kindle app. So, while you may see less of me here, hopefully that will mean I'm reading more, which is the whole point anyway. 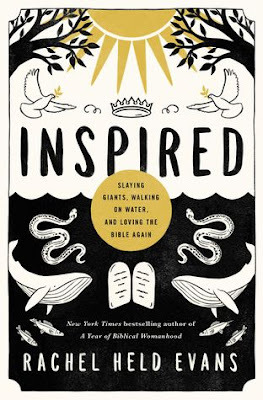 Summary: Evans wrestles with some of the toughest passages of Scripture. She challenges traditional mindsets about the Bible. Above all, she expresses her deep love for this book and its message. What I Thought: It's no secret that I'm a bit of a Rachel Held Evans fan-girl. When I met her at the Why Christian conference this past spring, it was all I could do to not invite her to dinner and to be my best friend. I realize how creepy that sounds, but I swear my intentions it's not. She's just one of those authors with whom I feel a strong, real connection. In so many ways, I feel as though she is a few steps ahead of me on a shared faith journey. Her books have been a balm to my soul and an encouragement in times of spiritual struggle. Summary: Ledbetter became a symbol for equal pay when she sued her long time employer, Goodyear. In this memoir, she shares her life story, including the epic legal battle that led to the Ledbetter Fair Pay Act of 2009. What I Thought: I honestly did not know much about Lilly Ledbetter before reading this book. I knew she had something to do with equal pay in this country and that's about it. It was so fun to read her whole story and see how she became an unlikely activist. 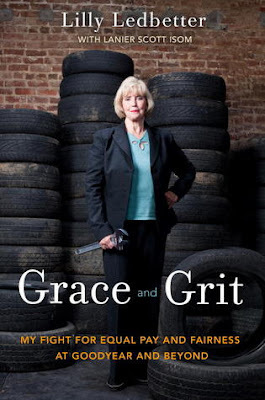 Ledbetter spends a lot of time talking about her early life and marriage which, while reading, feels more like a novel than a political memoir. However, I'm so glad she spent that time there; you really need the context of those years to understand just how incredible it was that Ledbetter became the symbol she is today. You would never have predicted her path when she was a poor child in rural Alabama.